"Come join the AMCHAM Aerospace Council monthly meeting. The agenda for the meeting is twofold. First, Mr. Jim Grunewald, the Council’s chairmen will present a debrief of the meeting with the BOI’s Industrial Linkage Development Division and the services they offer to connect competitive Thai SME’s and large manufactures with parts and component suppliers. Second, we will get the Council inputs for a planned March meeting with Dr. Luxmon Attapich, Deputy Secretary General of Eastern Economic Corridor (EEC) Office Thailand. Dr. Luxmon is very interested in hearing from the Council and this planning session will gather the Council inputs on how best to get our advice to the EEC leadership. 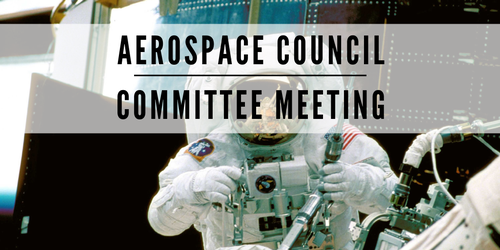 Please register early, as we anticipate this to be a superb opportunity to get actionable information on the Aerospace Council’s 2019 priority issues.